The Kaibab Merino Top is a versatile long sleeve shirt designed for every hunt. Wear the Kaibab independently for excellent thermal regulation and comfort, or wear it as a base layer to stay warm in the coldest of temperatures. The soft outer portion of the Kaibab Merino top wears our scientifically designed MTN-STEALTH pattern for unmatched concealment in multiple environments. The inside is made with superfine Merino wool which provides a comfortable next to skin layer guaranteed to wick moisture away from your body while simultaneously keeping you warm and dry. When things thermals rise, reach for the 1/4 zip to help regulate body temperature. This premium layering piece will be your go-to top for every hunt. The use of superfine Merino wool for the Kaibab Merino Top is what really makes this piece shine. Merino wool is an incredible force when it comes to controlling odor, wicking away moisture, and keeping you warm and dry. The secret is Merino wool’s ability to absorb up to 30 percent of its weight in moisture and still feel dry, while providing an excellent source of insulation. This makes the Kaibab Merino Top the perfect choice for any hunter that wants to stay warm and comfortable during their hunting adventures. In addition to the special features provided by Merino Wool, every aspect of the Kaibab Merino Top has been designed and constructed with comfort & mobility in mind. Thanks to the multidirectional stretch, the Kaibab Merino Top, offers an anatomical fit allowing excellent range of motion for archery and rifle hunters, where strenuous accents and descents are more of the norm than the exception. Flat-lock seams add to the comfort of this piece & won't rub you raw from wearing a heavy pack. You’ll have a hard time finding another base layer with the performance features of the Kaibab Merino Top. I received the Kaibab Merino line from SKRE last week, this week I’ve put it to test out looking for deer, and moose on the winter range with my snowshoes. The snow had no base to it, so my snowshoes were plowing through about a foot of snow. My point is, no matter what clothing I would’ve had on, I was going to sweat. However, with just my Merino, layered with my mad trapper hoodie and hardscrabble vest, I stayed warm in 0 degree weather. The sweat I did have dried quicker than any other clothing I’ve ever worn. It also doesn’t smell, like your traditional cottons/polyester does after a workout. Very lightweight, and I love the athletic fit. 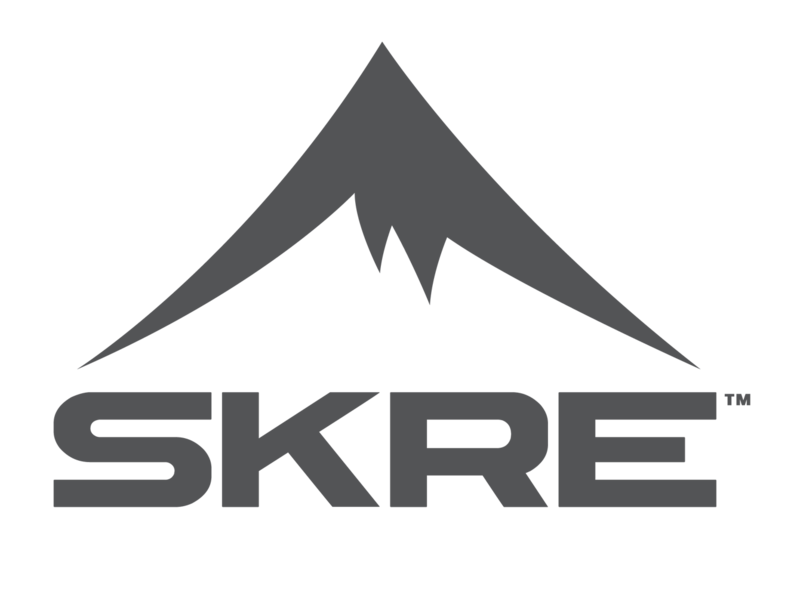 This is my new favorite piece from SKRE. After a month of running the Kaibab Merino Top I only have one thing to say, AMAZING! Here in northern Utah we are having one of the harshest winters we have seen in many years. I have been keeping my merino layers on for all my outdoor activities and have loved everything about it. The 3/4 zip allows for extra breath-ability for those times you may get over heated. I’m not a big dude at 6’3″ and 175 lbs so I have been wearing a large top. It fits snug with a base shirt under it so I would recommend a XL if you like to have a base shirt under your merino layers. The arm length is perfect, running perfectly to my wrists again keeping a snug fit on my arms. I’d recommend the Kaibab Merino base layers to anyone looking to add warmth and comfort to your system while at the same time saving weight by eliminating unneeded layers. Awesome lightweight layering piece. I am 5′ 10 160 lbs and the large fit perfect. I have worn this top a few times this year in Utah. It does very well in both cold and hot temperatures. So far I only have the Kaibab Merino top. And I’m convinced I need to get the bottoms now! This wool base layer is great. The shirt is a very thin material, it’s light, and it packs away very tightly. That being said – remember, it is lightweight. This is best used for temperature regulation while on the go in late season. I’m 5′-10/150lbs and the Large fits me well. It fits very tightly which is good. I can wear the Alpine SL shirt underneath, but it bunches a little because the Kaibab is a significantly tighter fit. Perfect shirt wore in Colorado elk archery hunt. Works great alone on hot days chasing bugling bulls. This was probably my favorite purchase out of all my skre gear I ordered. I just finished a Oregon archery elk hunt and found this shirt awesome to keep me warm in the morning and cool later in the day. I was hunting temps about 40-80 degrees varying over the week. I would size up like they suggest in sizing chart this fits close to a large and I ordered a xl. Skre has this listed as a 170gm merino but I found this to be more similar to my lightest weight merino in other brands which I prefer. After speaking with Mike Wand about the Merino Top to ensure I ordered the correct size I ordered the XL size and received it in just 3 days. The fit is snug as it should be for a base layer but has plenty of stretch for easy movement. I used this shirt for the first 6 days of an Idaho elk hunt seeing two days of 70 degrees and the rest was rain and snow. The shirt was amazing…kept me decently cool in warm temps and warm and dry during the rain and snow days. Even after six days the shirt did not smell !!! For the price this shirt is the real deal. My only recommendation is add a tab to the zipper pull to make it easier to grab with gloves on. The Kaibab is a great merino base layer. I ended up wearing it in unseasonably warm temperatures in Maine, and was surprised how cool it kept me. I have other merino base layers from competing companies and the Kaibab is right there with them but at a better price in my mind. As for fit, they do run a bit small. I usually wear an XL but bought the 2XL because of previous reviews, and it fits great (I am 6’3″, 205). Some more athletic hunters might fit great in an XL, but I am sure it would have been too small for me. My only suggestion is to add a hood–which for me is great for mosquitos early on and keeping warm later in the season. But overall the Kaibab is a great base layer, particularly for the price.